See below details for drop-off locations. Here in South Jersey, 1 in 6 people, and 1 in 5 children, suffer from food insecurity, which means they might not know where their next meal is coming from. 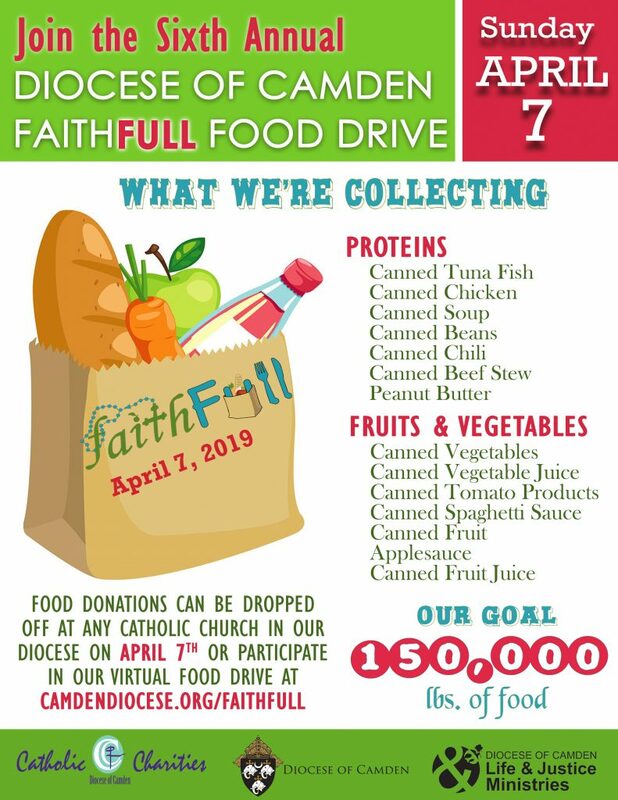 In response, the Diocese of Camden organizes an the annual FaithFULL Food Drive. The food drive is a one-day event: Sunday, April 7. However, you are welcome to collect and store food at your parish or school the days/weeks before the drive. 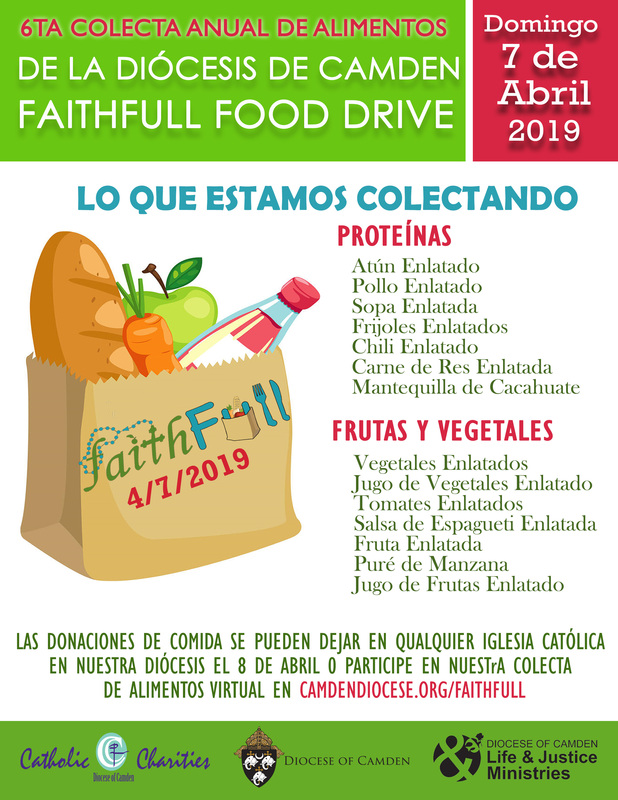 Parishes and schools across the diocese will be asked to collect the food on-site and then bring it on Sunday, April 7 between 10 am and 2:30 pm to 1 of the 4 locations, whichever is most convenient. See below links for more information!